13:37 | Lima, Jul. 29. 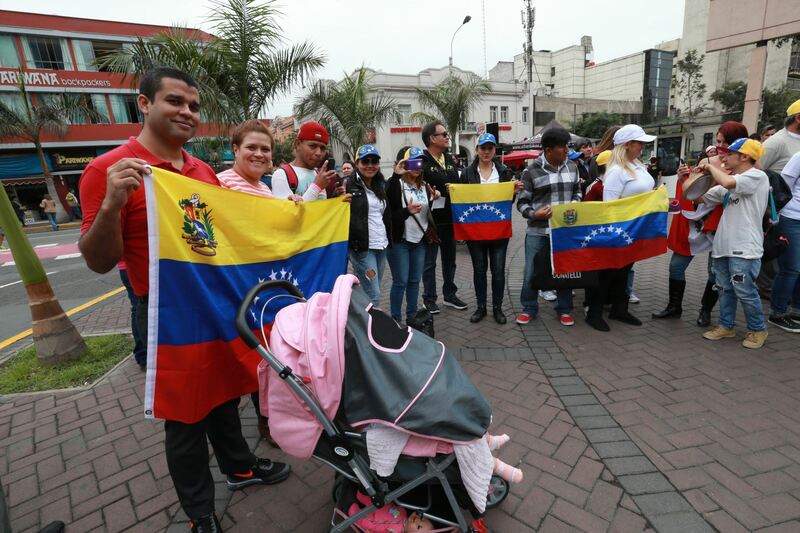 The National Superintendence of Migrations will extend the period in which Venezuelan migrants in Peru become eligible to apply to the Temporary Resident Permit (PTP). As is known, the Peruvian Government had adopted a supreme decree, approving guidelines to grant temporary resident permits allowing Venezuelans to stay in the Inca nation. According to such mandate, only Venezuelan citizens who were in Peruvian territory before February 2 were eligible to apply for PTP. Now, a new decree, published in El Peruano official gazette, grants the same benefits to those entering the country until July 31, 2017. Announcement was made by Peruvian President Pedro Pablo Kuczynski in his Independence Day speech on July 28. Granted by the National Superintendence of Migrations, the Temporary Resident Permit validates a holder's regular immigration status in the country and is valid for one year. After this period, it can automatically be extended until the entry into force of the Immigration Law or until the political situation in the Bolivarian Republic of Venezuela returns to normal. To date, Peru's Migrations Office has received over 3,000 PTP requests from Venezuelan citizens, as well as from foreign citizens with Peruvian children. PTP is in line with the recommendations made by the IACHR in a press release on January 25, 2017, in which the Commission expressed its concern over the increasing number of Venezuelans who have been forced to migrate to other countries in the region as a means of survival. A principal, autonomous body of the Organization of American States (OAS), the IACHR derives its mandate from the OAS Charter and the American Convention on Human Rights. The Inter-American Commission has a mandate to promote respect for human rights in the region and acts as a consultative body to the OAS in this area. It must be noted the Peruvian Government's action has been regarded "an example for the region" by the Inter-American Commission on Human Rights (IACHR). In a release, IACHR considered "the PTP represents an example for the region of how States can protect migrants who are in a vulnerable situation by regularizing migration."